I made these muffins for my father-in-law Marty who turnes 91 today. I wanted to pack them full with all sorts of healthy ingredients to keep him active and energetic so this is what I came up with. It’s true, healthy can be tasty! 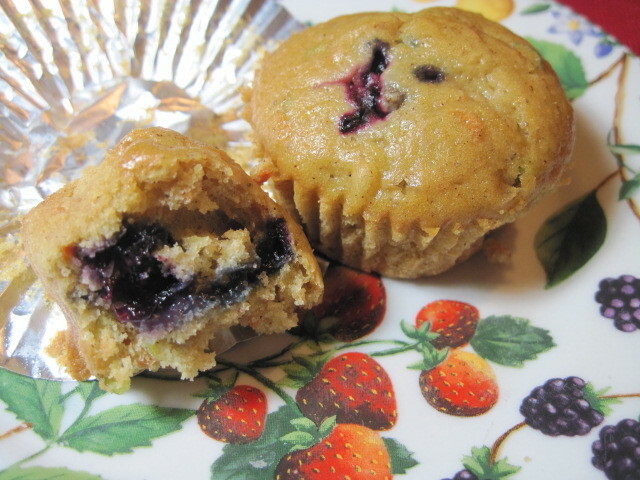 -Prepare your shredded vegetables and gently toss them with your pineapple and blueberries. Set aside. -In a large bowl, combine the following dry ingredients and whisk to combine: Flour, sugar, brown sugar, salt, baking soda, baking powder, cardamom, nutmeg, cinnamon. 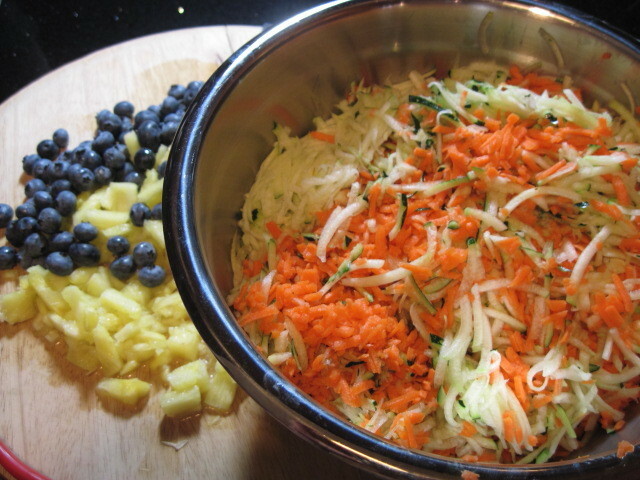 -Add in the shredded veggies and fruit to the mixture and carefully stir until just combined. 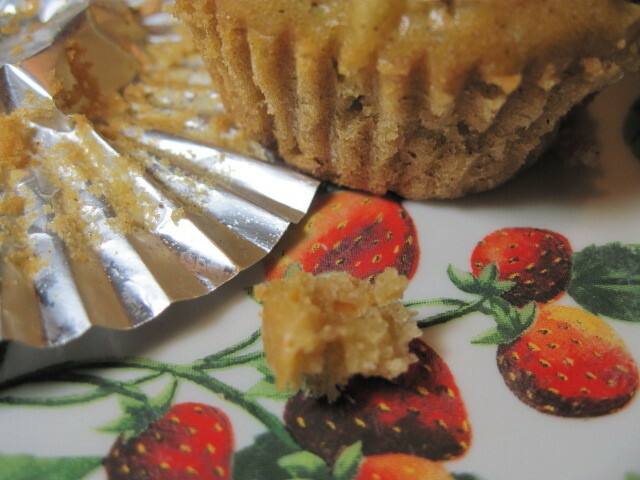 -Spoon the batter into prepared muffin cups that have been lightly sprayed with non stick cooking spray. -Bake in your preheated oven for 15 minutes and then rotate the pans and continue baking for an additional 15-17 minutes until they’re a light golden brown. 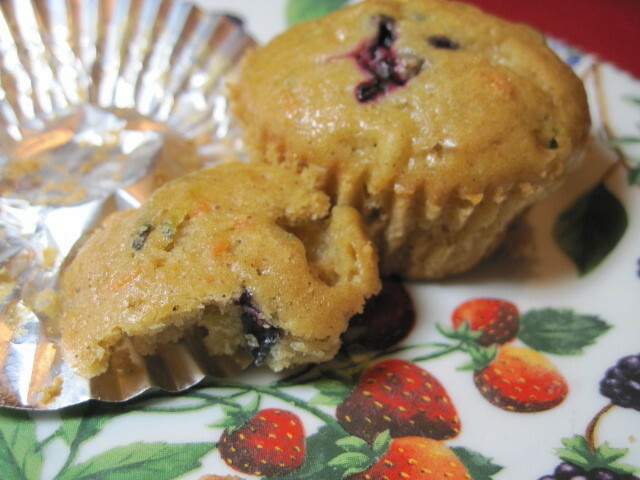 -Remove from the tins to cool on a rack and continue along with the remaining muffin batter. 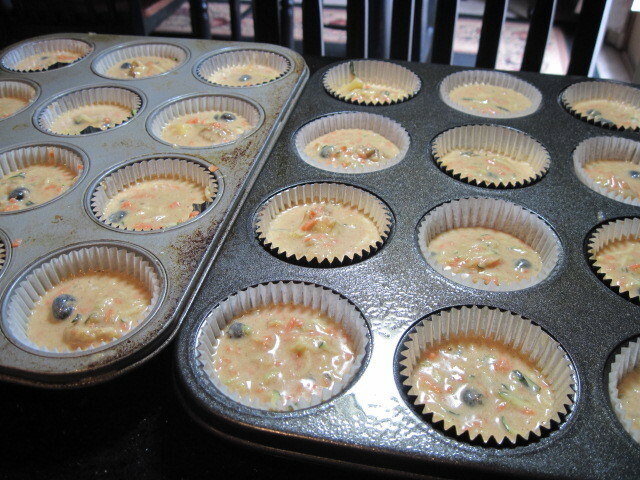 -Yield will be 48 muffins. What a great muffin to create! It must be as moist as all get out! Many happy returns for a wonderful day for your FIL! 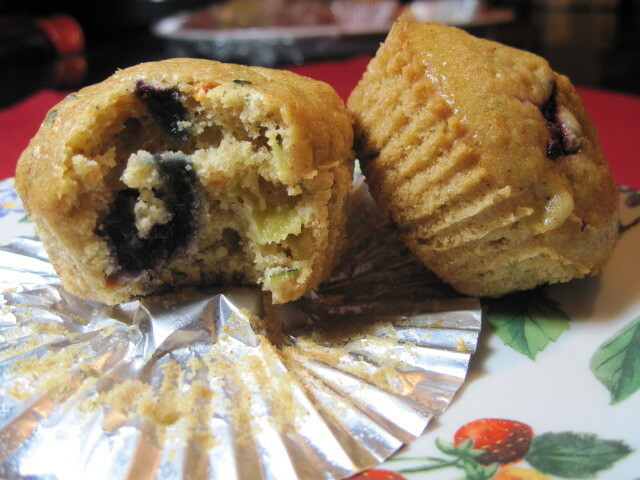 Yummy looking muffins! If these lower temps hold till the weekend, these are on my to-bake list! YOu made me SOOOOOOOOOO hungry! 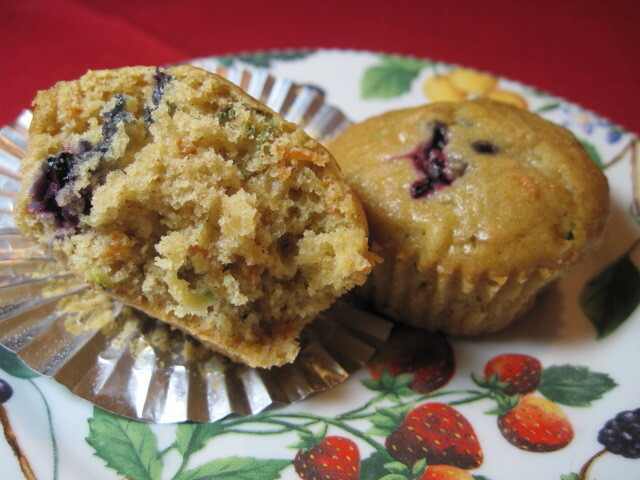 My mom used to make raisen bran muffins when we were little. I was thinking they would REALLY be good with zuchinni and carrots. Hope your spirits are good. I've been thinking about you. I'm embarrassed to say that it looks like I did omit the eggs from the recipe in error (in with the wet ingredients). Because I was making this up as I went along (no tried and true recipe), I'd say that I probably used 2 at the time. I wish there was a way I could make this up to you but I fear, I can not. I understand if you never come back to my blog as you wont trust me anymore. Rightly so. Again, I am very sorry. Please let me know how they turned out minus the eggs. I'm sure the taste will still be there but the presentation might not be so good. Gosh, I hope this isn't for SRC. Odds are, it is…Non kudos to me. Don't worry! Your description was right on…they still tasted great but weren't so pretty. Certainly no one minded, and I was only making them to use up some ingredients floating around my fridge anyway. I never would have thought of that combination but they were delicious!